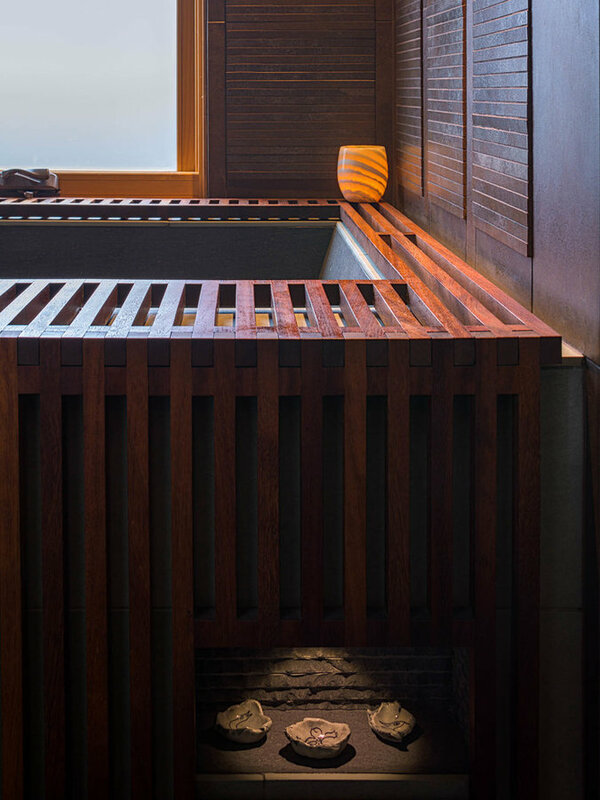 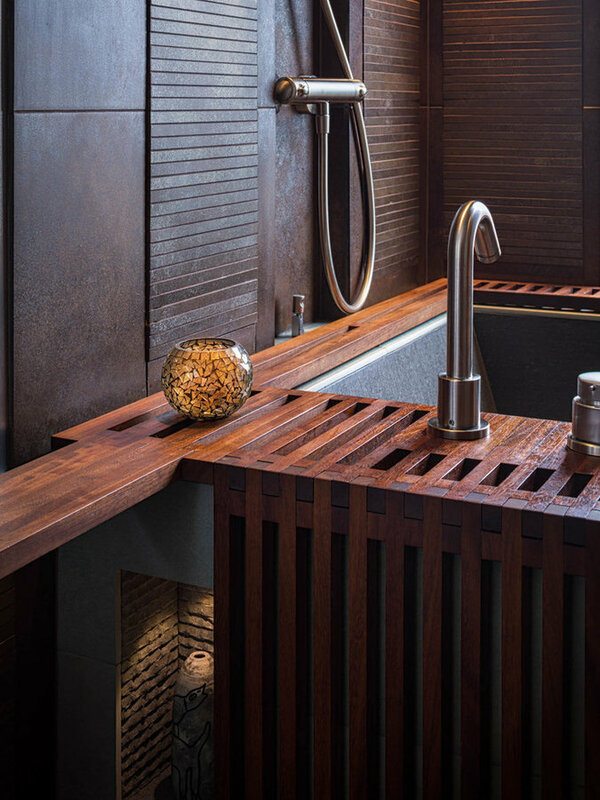 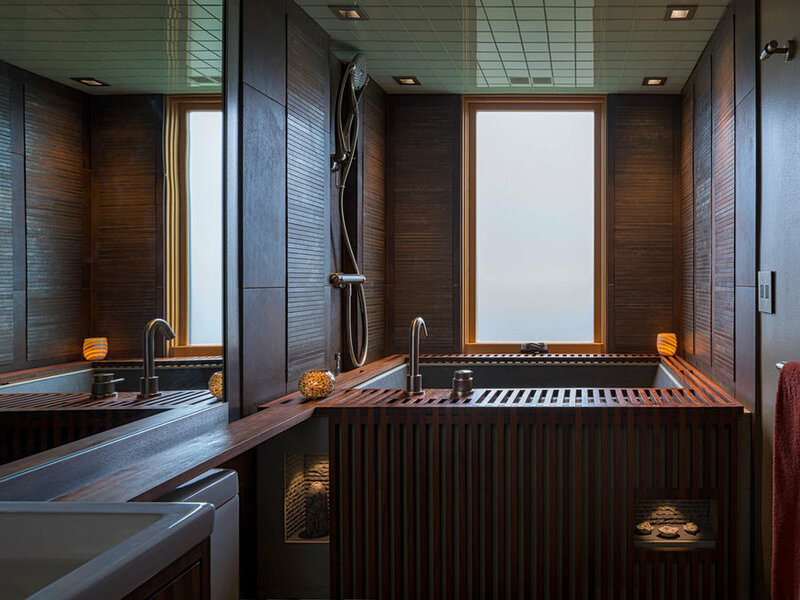 Our client wished for a bath retreat drawn from spa resort experiences in diverse locations such as Bali, Indonesia & Reykjavik, Iceland, that share an affinity for rich natural materials. 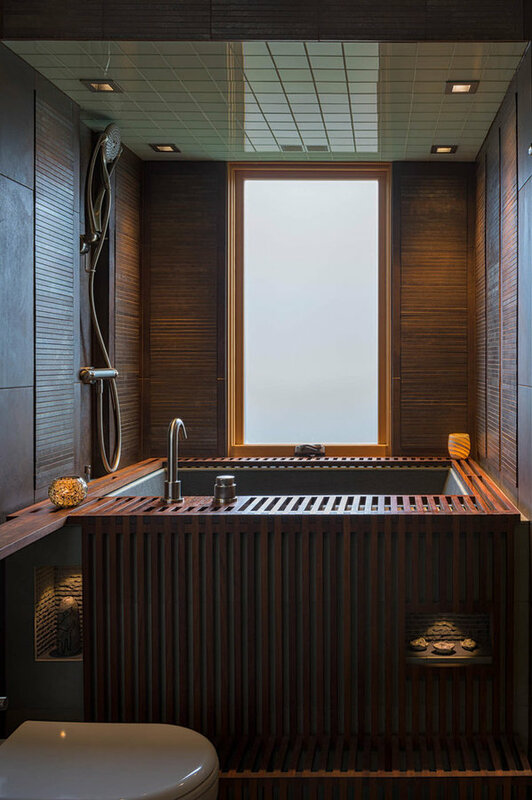 The mood was to be serene, introverted, Zen. 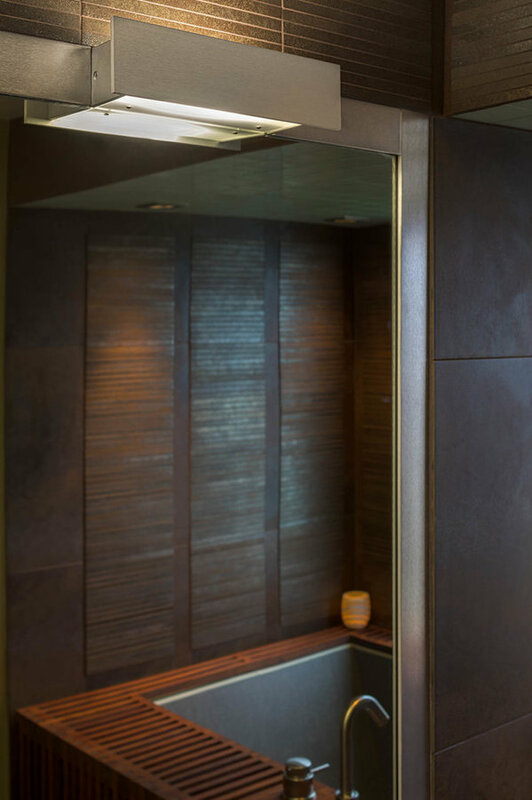 We responded with a simple plan for the compact space which treats the room as furniture, with fine handcrafted details, supple colors and textures, and surprise effects from indirect light.